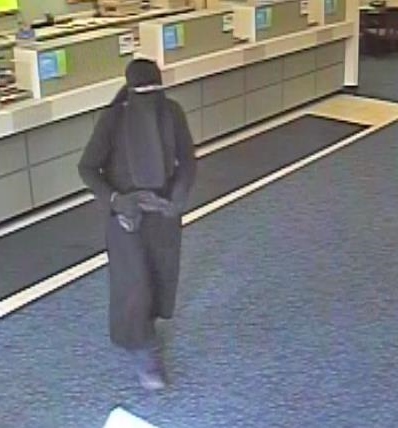 Camden County Prosecutor Mary Eva Colalillo and Audubon Police Chief Thomas Tassi reported a bank robbery at an Audubon bank Wednesday afternoon. 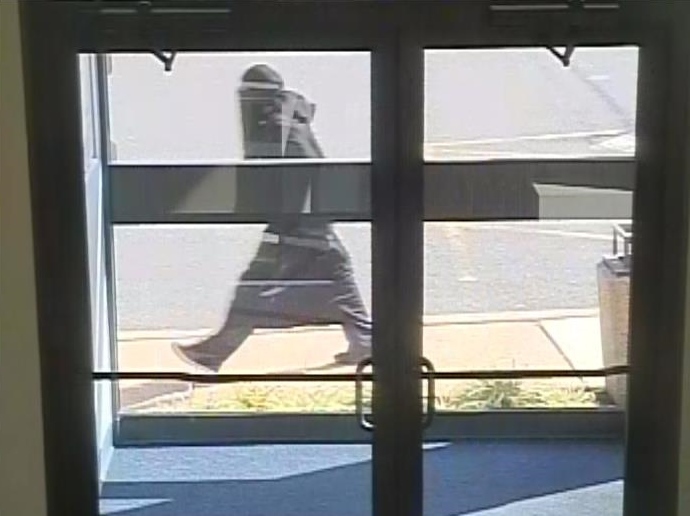 Authorities are seeking a man who passed a note to a teller demanding cash at the Beneficial Bank on the 100 block of the South White Horse Pike shortly before 2 p.m. The suspect fled with an undisclosed amount of cash. No injuries were reported and no weapon was displayed. The suspect was described as a light-skinned man wearing a black burqa. Photos of the suspect are attached. Investigators believe the suspect may be responsible for two other bank robberies in recent weeks. 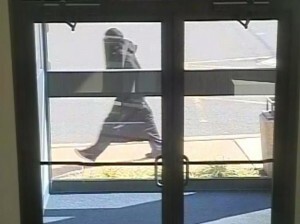 The first happened at 10:38 a.m. Sept. 17 at the Susquehanna Bank on the first block of Market Street in Camden. The other occurred 10:13 a.m. Sept. 25 at the Audubon Savings Bank on the 500 block of the South White Horse Pike in Audubon. 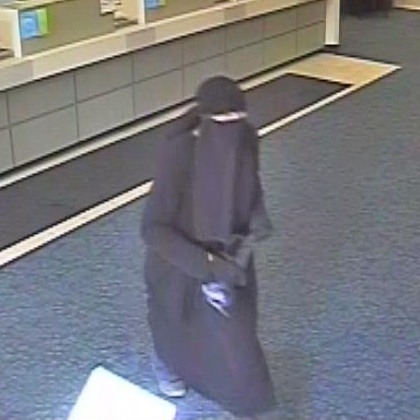 In both September cases, a male suspect dressed in a black burqa passed a note to a teller demanding cash and fled with an undisclosed amount of money on a BMX bike. Anyone with information is urged to contact Camden County Prosecutor’s Office Detective Bob Ferris at (856) 225-8518 or Audubon Police Detective Sgt. Tim Stillman (856) 547-1171. Information also may be emailed to ccpotips@ccprosecutor.org or texted to CCTIP.